A new voxel based action, adventure and creation game. Big focus on player created content such as characters, items, weapons, monsters, NPCs, quests, etc. I spoke to the developer on twitter just to check up on the game and the developer kindly replied to confirm a Linux version will come, so that is great news! 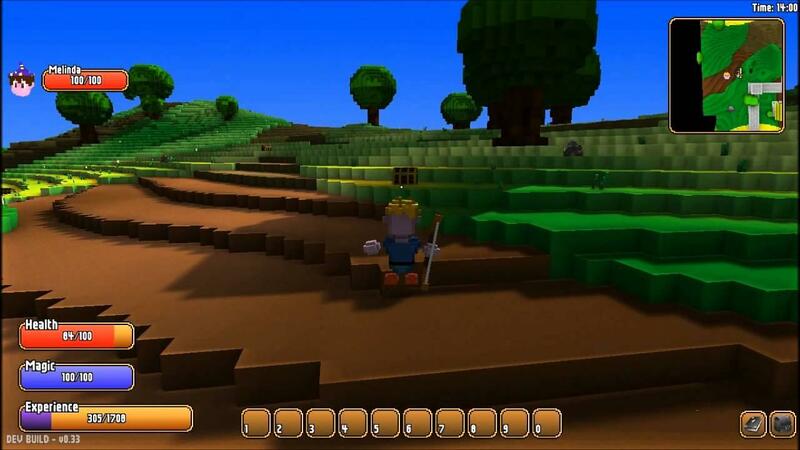 Vox is an adventure and creation game currently under development and follows on from other voxel based games such as Minecraft and Infiniminer. Vox will have a big focus on player created content, and will allow the player to customize every aspect of the game. It was on Steam's greenlight here, but since it's been greenlit you should expect it on there for Linux in the "not too distant future". It is also sold on Humble Store so no doubt there will be a DRM free version as well, heck it's even on Desura. Fully destructible world, every block can be edited. Completely customizable characters, use preset parts, or completely build a character from scratch, block by block. Create anything! Items, Monsters, NPCs, Scenery, Houses, Quests, Items. If you can see it, you can build it! Share your creations easily online and through the Steam Workshop. Villages with NPCs and dynamic quest system. Explore underground caves and discover secrets, treasure, loot. Character progression and leveling system. Most dynamic water system used in any 3d voxel based game. Fluids include water, oil, poison, magma, lava, slime. The Cheapskate's Corner already told you so back in July. The way your player kills enemies makes it look like an MMORPG, but at the same time it retains traits from Minecraft. Count me as interested, especially if there are quests. I knew this game already and I knew the developer was considering a Linux port, I am glad to know it will happen, I love it, despite the fact it is based on voxels, I think it has its own personality.